A personal selection, including photographs and reflections on faith. I am developing this website to include some photographs from my collection and some reflections relating to the Christian faith. It is a 'work in progress' and most of the sections are empty at present! While I welcome all visitors, the site is primarily intended as a place to share items with friends, colleagues and other contacts. It was formerly the website of my business. It no longer has information relating to computer support or other business activities, which have now ceased. Page last updated 26 June 2010. © Copyright David Gray 2010. Photographs copyright David Gray 2002-10 except where otherwise stated. Part of Streatham Common, looking towards Immanuel and St Andrew Church. 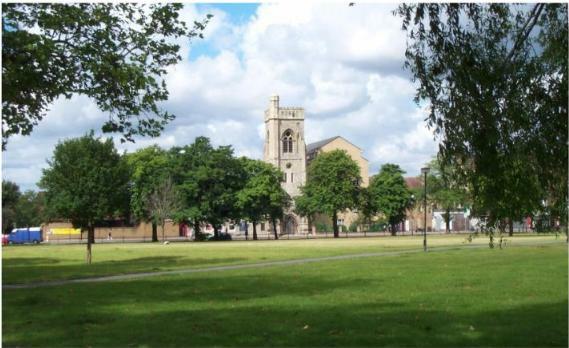 I maintain the website of the Parish Church of Immanuel and St Andrew in Streatham, London, UK. You can visit it at www.immanuelstreatham.org.uk.